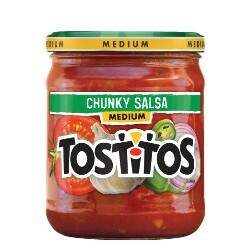 Ingredients: Tomato Puree (Water and Tomato Paste), Diced Tomatoes in Tomato Juice, Jalapeo Peppers, Onions, and Less Than 2% of the Following: Vinegar, Salt, Natural Flavor and Garlic Powder. 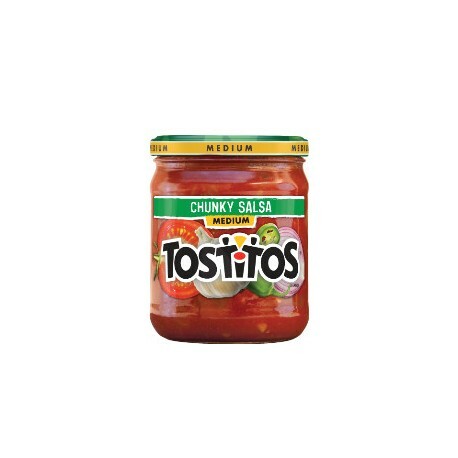 Oh-so gloriously chunky, TOSTITOS® Chunky Salsa Medium combines ripe tomatoes, jalapeños, onions and garlic for the perfect moderate heat. 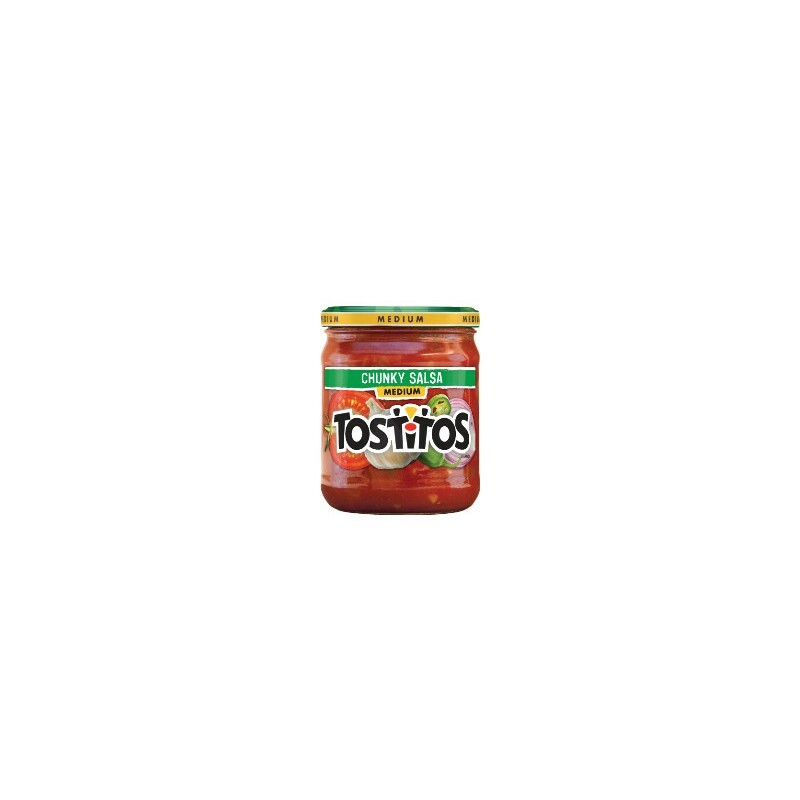 Nothing pairs better with TOSTITOS® Tortilla Chips, except maybe a group of friends. Great for parties. Delicious, crowd pleasing and convenient it can't get much better than Frito-Lay chips and dips! From entertaining friends to relaxing at home and everything in between, our perfectly blended salsas and great-tasting dips are always a hit. Mix and match them to discover your own perfect pairing! Warning Text: Safety button pops up when original seal is broken.